Winner students have graduated from the University of Sioux Falls. Ashleigh Tuttle received a degree in psychology, sociology and criminal justice. Receiving a bachelor of science in nursing are Haley DeMers, Dayna Diez and Amanda Husher. Winner Community Playhouse will be presenting a children’s production July 21-22. The performance on July 21 will be at 7:30 p.m. at the playhouse and on July 22 there will be a matinee at 3 p.m. and the show at 7:30 p.m.
Molly English is the director of the children’s play. 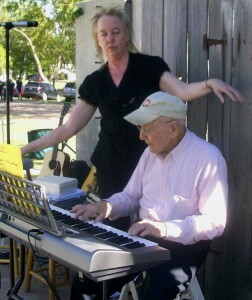 Auditions were held on June 27. The cast includes students going into the 5th, 6th and 7th grades. Area students have been named to the spring semester president’s list at Mitchell Tech. Winner students on the list are: Jesse Brunmeier, Forrest Cerv, Brittney Hansen, Samantha Stickland, Chelsey Storms and Bailey Turnquist. On the list from Colome is Cody Heath. Marie Tyburec remembers the vivid colors of pink, brown and yellow streaming from a church stained glass window. Those colors have inspired her to use lots of color in her oil paintings. The former Winner resident, who now lives in Burke, recently had one of her paintings chosen as part of the South Dakota Governor’s Seventh Biennial Exhibition. Her painting is title “Back Walks” and has special meaning to the artist. Winner/Colome amateur baseball team defeated Mt. Vernon 10-2 in action Sunday afternoon at Leahy Bowl. Austin Calhoon racked up three RBIs on two hits for the Pheasants. He doubled in the fourth inning and singled in the fifth. Derek Graesser stuck out 11 paving the way for the Pheasants win. The Pheasants pitcher gave up just five hits over six shutout innings. Winner Teeners played three games in the Parkston tournament this weekend. On Saturday, Winner played Parskton and won 12-4. Riley Calhoon was the winning pitcher. Leading hitters were Ty Bolton and Levi McClanahan with a double and single. Winner then played Lennox and won 5-0. Bolton was the winning pitcher. Leading hitters were Bolton, Nick Lantz and Riley Calhoon with a double and a single. On Sunday, Winner lost to Bon Homme 4-0. Carter Brickman was the losing pitcher. Earlier in the week, the Teeners played several games. 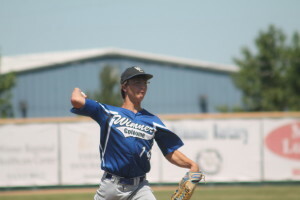 Last Monday, June 20, Winner played Rapid City in a double header in Winner. Winner lost the first game 15-2. In the second game, Winner won 5-4. Carter Brickman was the winning pitcher. Winner/Colome Legion baseball team came up with two wins Saturday and Sunday on their home field at Leahy Bowl. Saturday evening in a marathon extra inning game, the Royals came back to win 11-10 in the bottom of the 11th inning over Parkston. Offense was dominate as Winner/Colome defeated Platte/Geddes 12-10 Sunday afternoon at Leahy Bowl. 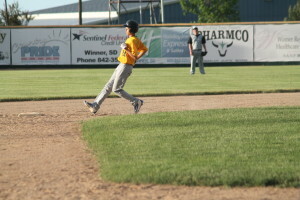 Winner/Colome Legion baseball team defeated Martin and Mission in games played on June 22. The Royals defeated Martin 12-8. Cameron Biggins earned the win on the mound pitching 6 innings and giving up 7 runs on 7 hits, 9 walks and 3 strikeouts. Leading batters were Matt Campbell with 2 doubles, 2 RBIs and 3 runs scored. Kelly O’Bryan had a double, single, 3 runs scored and 2 stolen bases. Phillip Jorgensen had a double, single and 3 RBIs. In the second game, Winner defeated Mission 11-8. Ryan Sherman earned the win in relief pitching 3 innings and giving up 2 runs on 1 hit, 3 walks and 3 strikeouts. Kelly O’Bryan had 2 singles, 2 runs scored, 2 RBI and 3 stolen bases. Jayden Schroeder had a double and 2 RBIs. 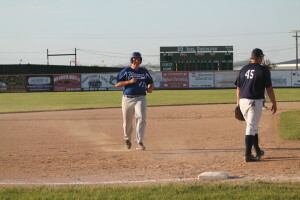 The Winner/Colome Legion baseball team played in a tournament in Aberdeen Friday through Sunday. The Royals won three of the four games. In the first game on Friday, Winner/Colome was defeated by Aberdeen 8-0 in five innings. Carter Brickman pitched 4 innings giving up 8 runs (2 earned) on 7 hits and 1 strikeout. Riley Calhoon and Jordan Turgeon each had singles. In the second game, Winner/Colome defeated Mobridge 7-2. Ty Bolton earned the win on the mound pitching 4 innings giving up 1 run with 5 walks and 4 strikeouts. Drew DeMers earned the save in relief pitching 3 innings, giving up 1 run on 2 hits with 2 walks and 3 strikeouts. Riley Calhoon had a triple and two runs scores. Reed Harter had a double and Drew DeMers had a single and two runs scored. In the third game, Winner/Colome defeated Jamestown, N.D., 7-3. Kelly O’Bryan earned the win pitching 7 innings and giving up 3 runs on 5 hits, 5 walks and 7 strikeouts. O’Bryan had a double, single and 3 runs scores. Reed Harter had a single and 2 runs scored. In game 4, the Royals defeated Milbank 3-2. Harter earned the win pitching 7 innings and giving up 2 runs on 5 hits, 5 walks and 2 strikeouts. Harter had a double and a single and Cameron Biggins had a 2 singles. “We kind of laid an egg in game one against a very good Aberdeen team with a few very uncharacteristic errors but I was pleased with the way we rebounded to win three straight against some stiff competition,” said coach Drew Weber. 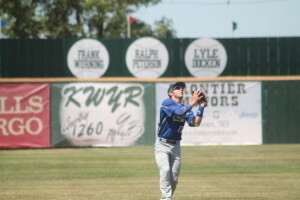 He said Jamestown is one of the leading teams in their class in North Dakota and Milbank is one of the front runners to win this year’s Legion title so earning victories over them was very special. 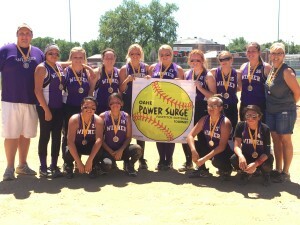 The Winner 18U girls softball team traveled to Pierre this weekend and played in the Oahe Power Surge fastpitch softball tournament. The Winner girls came home with a second place. After some tough games in pool play, the girls battled back in the bracket portion of the tournament. Winner defeated Platte to get into the championship game. Winner girls fell to Brandon Blast in the championship.